Crossing Biscayne Bay via Julia Tuttle causeway, you will reach The Design District, a creative neighborhood & a shopping destination dedicated to innovative fashion, design, art, architecture & dining. 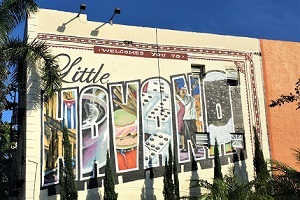 Not far from there, Wynwood, a creative eye-catching and outgoing place perfect to tour in convertible, with colorful walls & artist’s designs. Want more adventure with a convertible vintage car tour? 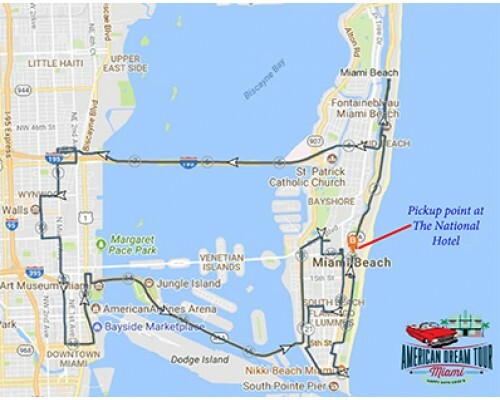 Get a 2 hour classic car tour and enjoy a full city tour of Miami Beach and Touring Wynwood in Miami. 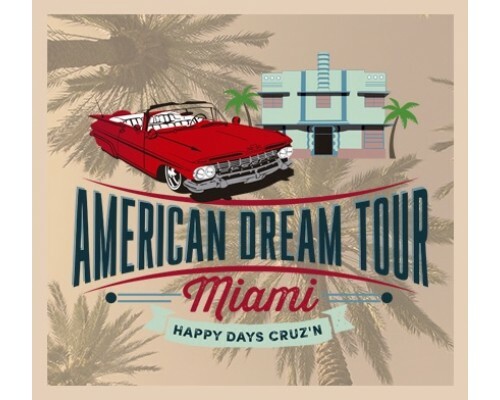 After touring Miami Beach, tour continues through Biscayne Bay to Miami, while sightseeing from convertible car traveling to see The Design District. Not far from there tour will visit the Wynwood District. 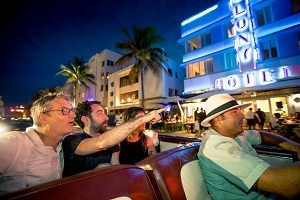 After touring Wynwood, tour will head towards downtown and Bayside and returns to Miami Beach. 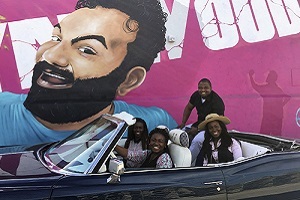 Get a car tour of the following best spots in Wynwood Miami and Miami Beach. 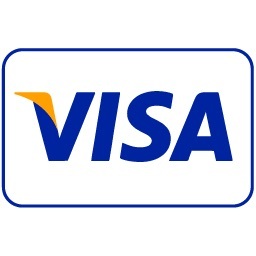 The 2-Hour Car Tour of the City is a private tour for upto 5 people in a restored antique convertible car. 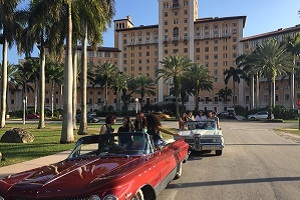 Travel back in time in our vintage beauties, relaxing and soaking in Miami's culture while you sight-see the best places in a classic convertible car.